A small firestorm erupted after Apple removed VPN software from its App Store in China, which might provide a template for other countries to follow. 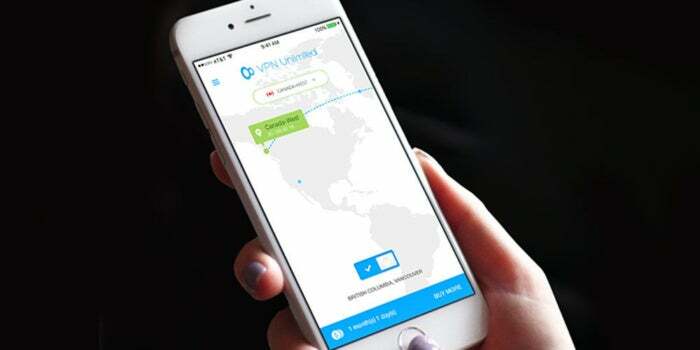 Apple recently removed several virtual private network (VPN) apps from its App Store in China. Three VPN providers confirmed removal, and Apple provided a statement that said that regulations put in place in January were the cause. “We have been required to remove some VPN apps in China that do not meet the new regulations,” Apple said in the statement. Last January, China began to more strictly enforce existing regulations that require internet services to obtain licenses. During Apple’s earnings call on Tuesday, CEO Tim Cook said that not all VPN apps were removed in China. “We were required by the government to remove some of the VPN apps from the app store that don’t meet these new regulations,” but hundreds remain, he said, including apps developed by firms outside China. VPNs allow encrypted tunnels of internet traffic between a user’s device and a destination VPN server elsewhere on the internet. While it originated as a corporate tool decades ago to allow employees secure access into a company’s internal network, VPNs are used by hundreds of millions of people for privacy in democracies and dictatorships alike. They’re also widely used to get around media lockouts that prevents people in one area from viewing video or listening to audio that isn’t licensed for their country or region. China opposes the unrestricted access by its citizens and other residents of the global internet, blocking many key services and technologies like Facebook, Google search, and Twitter. The so-called Great Firewall disrupts VPN, TOR, and other connections, and has recently become more sophisticated in blocking. It also censors and disrupts content on services located within China. The restrictions are wholesale: people looking for information about Taylor Swift have just as many restrictions as those trying to find out about the banned Qi Gong religious sect. Apple’s acquiescing to China’s demand seems at odds with the company’s stance as a protector of its customers’ privacy and the right to encrypt communications. In the United States, Apple clashed with the FBI under Barack Obama, and faces a fierce critic of an internet with no regulations on speech in Donald Trump, though so far the president and his agencies have taken no new actions. Apple has been outspoken in other countries as well. While the company didn’t respond to a request for comment beyond its statement, It did take six months from the Chinese Ministry of Industry and Information Technology’s statement in late January for Apple to make a move. That could mean Apple had been resisting and keeping discussions alive for that period of time. Apple attempts to obey local law wherever it does business, even when there’s no free and fair legal system in place. It’s able to push harder in the U.S. against government intrusion because we have a robust system that allows those with enough money to pay lawyers to resist legally and appeal decisions. Apple needs Chinese approval to sell its hardware and software in China and allow people to access its App Store and services. It all seems about leverage. Apple needs Chinese approval to sell its hardware and software in China and allow people to access its App Store and services. China has proven willing to bump major companies out of its market if they don’t comply. Google opted to leave mainland China in 2010, and despite reports every several months since 2015 that Google is “about” to figure out a return to operate in the bulk of China, it hasn’t happened. What if Apple did not withdraw VPN apps from the China App Store? China’s leadership seems to have no patience for firms that won’t comply. Apple would likely have faced restrictions and even been forced to remove its products from sale and had its services to customers cut off. It might have been booted abruptly, shedding nearly 20 percent of its revenue. Apple is currently working through starting up a data center in China to meet other regulations about where data is stored. Meanwhile, Apple’s sales in China—not growth, but actual sales revenue—dropped 14 percent in the most recent quarter’s earnings measured year over year. Apple faces more competition in China because consumers rely more heavily on apps available across multiple mobile platforms instead of OS-provided apps and infrastructure. As Ben Thompson of Stratechery noted earlier this year in his newsletter, “The fundamental issue is this: unlike the rest of the world, in China the most important layer of the smartphone stack is not the phone’s operating system. Rather, it is WeChat.” A New York Times story recently detailed one of its reporters adapting to the 2D code based payment systems of WeChat and Alipay in urban areas. The service lock-in to Apple hardware just isn’t the same in China. If Apple chose to stand on a principle of open access and was barred from the country, it loses any influence it has along with revenue. The flip side of leverage, too, is that if Apple chose to stand on a principle of open access and was barred from the country, it loses any influence it has along with revenue. Google made this decision, because at the time it left, China provided relatively little revenue. But it lost its voice for change in China, too, even if it’s naive to assume such corporate voices carry far. Unfortunately, China may be teaching a lesson to countries that purport to support free speech and individual rights of privacy by showing that a firm stance and regulatory power can be wielded to restrict access to tools that have a legitimate purpose. Encryption is a two-edged sword, as it can be used to hide both legitimate and illegal activities, but the legitimate use is casual and vastly outweighs the tiny proportion used for what people would widely agree is crime—excluding laws related to political speech and other behavior that’s covered by the Universal Declaration of Human Rights. Apple might better serve its customers and democracy worldwide by taking a principled political stance in opposition to China’s regulations on the grounds of human rights. Obeying local laws doesn’t mean providing cover to the restriction of liberty. It might lose a market, but keep the world safer for free political and creative expression. Editor's Note: This article was originally published on August 1, 2017 and was updated later that day with a comment from expert Rogier Creemers and with quotations from Apple’s quarterly earnings call. The article was changed to note that only some VPN apps were confirmed removed, while Apple maintains hundreds of others remain.